The star rating system is pretty straight forward. It shows the average of all the ratings that a specific user has received. These ratings can be given based on your experience with that user, whether they were buying, selling or just communicating with you. The ratings have a range of 1 to 5. 1 would be a very low rating, with 5 being the best. We feel that this can give other users a better understanding of how someone is when it comes to buying/selling items without having to worry about negative ratings being abused. 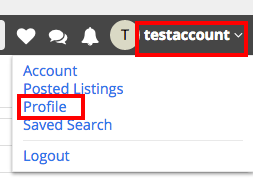 To view a user's current rating, simply look for the star(s) near the user's username. Depending on the screen size there will be 1 or 5 total stars. Next to the star(s) will be a number that what the average rating is. On the users profile page there will also be a number that tells how many ratings this user has received. 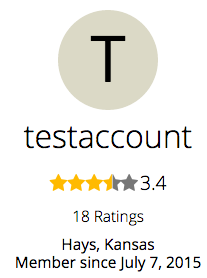 To view more details about a user's rating, simply click on the stars near their name. You will then be taken to a page similar to the one below. The table on the main part of the screen breaks down each rating the user has received. 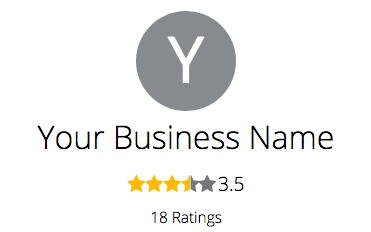 It gives how many stars they selected, the username of the person who gave the rating and the date they gave it. If you wish to give the user a rating, simply hover over the star you want to select and click on the star. You can also view all of the ratings that you have given by clicking on your username at the top right and selecting Account. From here, click on Ratings along the left of screen and you should see a table that shows all of the users you rated, the date you rated them. If you wish to view your own rating, click on your username at the top right of the page and select Profile. On this screen, click on the stars next to your name like you would with any other user. You should now have a screen similar to the one we saw when viewing another user's ratings. You will have a table that shows the ratings, the user who rated you and the date it was given.